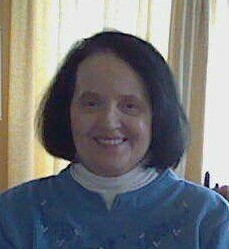 Joyce E. Coolbaugh, 75, Lehman, passed away, Friday, November 23, 2018 at her residence. Born in Kingston, she was the daughter of the late, Dorrance and Josephine Tedesco Headley and was a graduate of Tunkhannock High School. Joyce was the director of food service for the Lake Lehman School District. She was a member of The Lehman Idetown United Methodist Church and taught Sunday school for many years. She was a member of the Order of The Eastern Star Chapter #396, Dallas. She was the food service president and representative of the Northeastern PA PFSSA and was the local rep for PASB. Joyce was also the past president of Onawandah Camp Grounds. She was also the President of the Ladies Auxiliary of Lehman Fire Hall. She was preceded in death by her husband Harold A. Coolbaugh and brothers, Dorrance and Thomas Headley. Surviving are her daughter, Pam Kantor and her husband Joe, Stafford VA. Son, Russell Coolbaugh and his wife Dodie, Dallas. Grandchildren, Jessie and Lexi Kantor, Breezy and Rusty Coolbaugh. Niece Jane Hafford, Nephew, Ron Coolbaugh. Brother, John Headley and his wife Darlene. Funeral will be held Tuesday, November 27, 2018 at 11:00 Am at The Richard H. Disque Funeral Home, Inc., 2940 Memorial Highway, Dallas, with The Rev. Lori Robinson, pastor Lehman Idetown United Methodist Church, officiating. Interment will be in Lehman Cemetery. Friends may call Monday from 6 to 8 PM at the Funeral Home. Order of the Eastern Star Chapter #396 will conduct Eastern Star service Monday Evening.